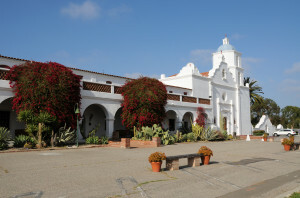 Old Mission San Luis Rey. Photo by Kenneth Mays. Located near the present-day city of Oceanside, California, Mission San Luis Rey de Francia was founded by the Spaniards in 1798. In January 1847 the Mormon Battalion passed by the mission as it approached and saw the Pacific Ocean for the first time. 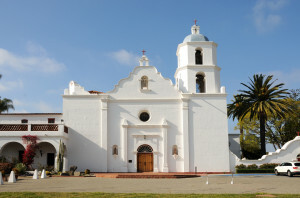 Following a short stay in San Diego, the Battalion returned to the mission, arriving on February 3. Many were garrisoned here for weeks (noted on the sign below). 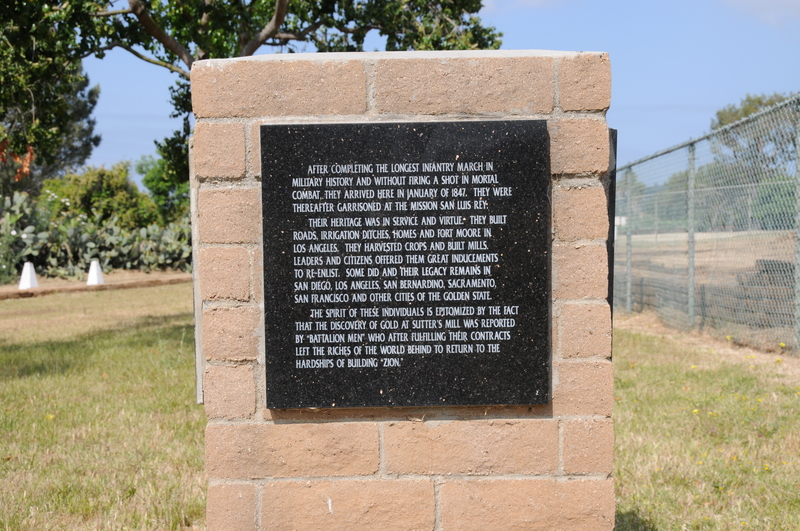 Sign at Old Mission San Luis Rey noting the Mormon Battalion. Photo by Kenneth Mays. 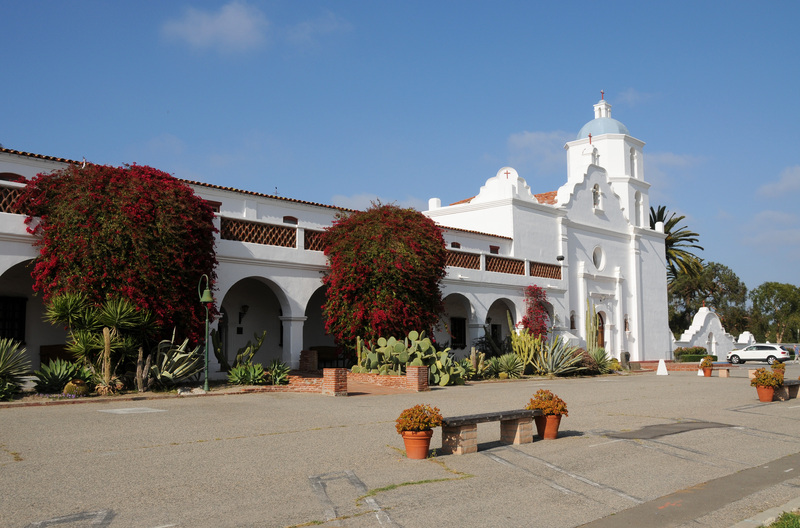 While at Mission San Luis Rey, the Battalion received weeks of training including instruction in the use of firearms for the first time. Some of the Battalion members attended to religious rituals and ordinances. There were problems with fleas, clothes to wash, drills and inspections and much needed rest. 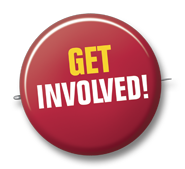 Some men could barely carry a pail of water without resting from the chore. In March, Company B was ordered back to San Diego and the others to Los Angeles. 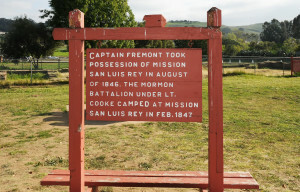 The Battalion was formally discharged on July 16, 1847 at Los Angeles. 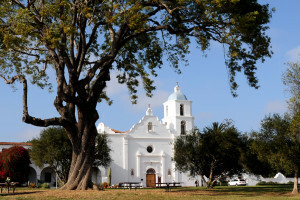 Old Mission San Luis Rey is located at 4050 Mission Avenue, Oceanside, California 92057. From I-5 at Oceanside, take highway 76 (San Luis Rey Mission Expressway) to where it intersects with Ranco del Oro Drive. The mission is immediately north of that intersection. The gps coordinates are: 33°13’55.26″N; 117°19’10.73″W. Sherman L. Fleek, History May Be Searched in Vain, 324-343. Norma Baldwin Ricketts, The Mormon Battalion: U. S. Army of the West, 119-129. Michael N. Landon and Brandon J. Metcalf, The Remarkable Journey of the Mormon Battalion, 72-75. David L. Bigler and Will Bagley, Army of Israel, 192-200.